Derek graduated from the University of Northern Iowa in 2010 and has been a high school math teacher first at East High School of Waterloo and most recently, Hudson Middle School and High School. He has also been involved in leading at BASIC, a college age worship community through Orchard Hill Church at the University of Northern Iowa since 2015. Derek married his wife, Kristen, in 2010 and soon after adopted two kiddos (Viola and Gideon) via international adoption in 2012. Then, they added a newborn (Charlotte) through domestic adoption in 2012. 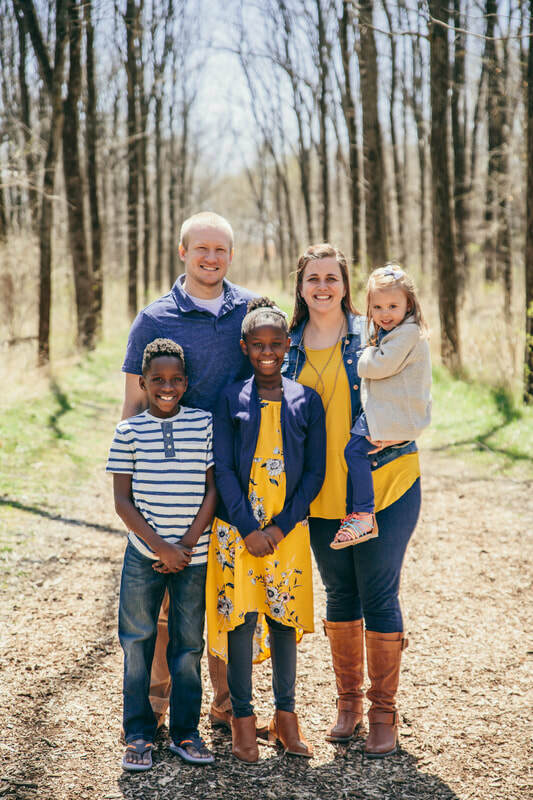 In doing so, Derek and Kristen became increasingly interested in the foster care and adoptive community in the Cedar Valley and the surrounding area. In late 2017, Derek and Kristen finished their foster license and felt called to help launch Cedar Valley Angels.